[CPR6EAIX-9S] is supposed to be a motorcycle plug Why is it put in the category of car repair parts? Although the product is a good one, it has a bad impression due to its poor handling in Monotaro. This review is about item#18943322. I did not find a plug that fits inside, but there was no number even if it was found I found it cheap here and was very helpful. This review is about item#32125274. Used for old cars. Winter engine start has improved. As it does not last long, it is expensive in cost. This review is about item#32125116. It is used for a two-stroke engine of a paramotor. This review is about item#58117753. I thought that plug replacement is useless. Since it was an old car, it was also unfavorable after the oil leakage countermeasure, so if you stepped on the electrical system and replaced the contacts of the Desi, then it turned out to be iridium. This review is about item#58117893. I exchange plugs every 20,000 kilometers. 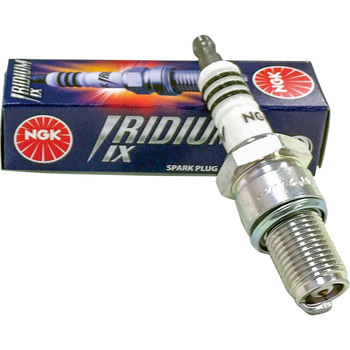 I have used NGK normal plugs up to now, I made iridium this time. As if the ignition power got higher, Because it is a brand new, I just passed on to sure · · · It looks like. Considering the performance with normal, Iridium was unnecessary. This review is about item#9990827. It is better to get cheaper than buying it normally. Performance is NGK so there is no problem. This review is about item#58117832. It was iridium IX in the photograph, but it was an ordinary platinum plug. This review is about item#33048881. I bought it for exchanging consumables of the car. Although it was about obtaining from the maker, it was saved because it arrived quickly. This review is about item#58117805. I think that the price is reasonable and reasonable in terms of product. The packing condition that we will send the goods, if you say well, is this too? I'm packed with the word saying. Too bad packing! Even if it is not packing in a box, I think that it is enough to send it with an air cap envelope. This review is about item#58117911.